General purpose of this article paper is to analysis and discuss on Risk Management of Workplace Violence. The workplace might have to be suddenly evacuated caused by an emergency like burglar violence. The only thing that the organization can do to handle things is to put together policy and procedures intended for risk management. 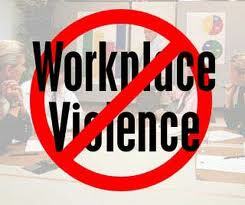 A workplace violence or emergency is virtually any situation that exposes employees and company towards threat of harm. It can result in physical and material deterioration. it may also affect your business as the daily systems and routines on the business may be impacted.